Mudra Craft Stamps: Mudra's First Birthday Blog Hop! 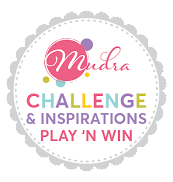 Yes, Mudra is one year old this month and what an amazing journey it has been so far. And this month, we want to celebrate our big milestone with you because it wouldn’t have been possible without your support. We have so many fun things lined up throughout the month with lots of chances for you to participate and win some cool prizes. We wanted to start the celebration today by bringing together our amazing creative team and few of our friends to share some of their beautiful creations with Mudra products. We have an amazing line-up of projects that you sure are going to love! - Follow Mudra Blog - Like Mudra Facebook Page - Follow us on Instagram - Subscribe to our YouTube Channel - Visit all the blogs in the hop and leave them some love. 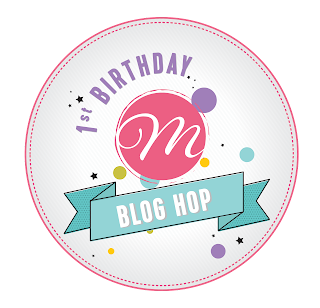 - After finishing the blog hop, add your name in the inlinkz at the end of this post. 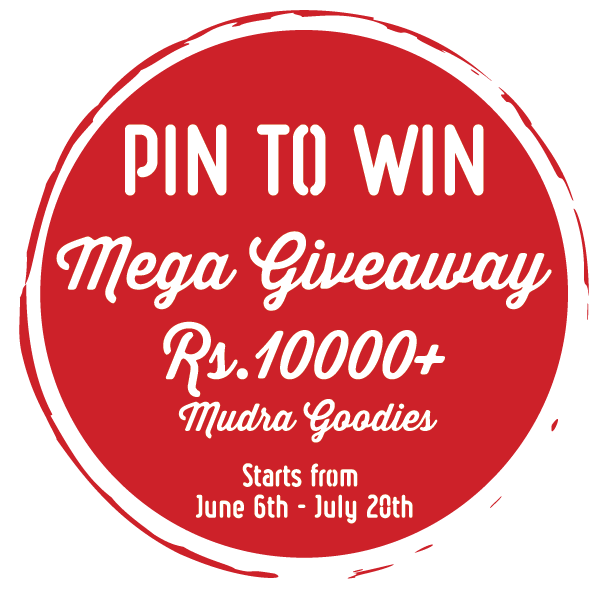 To celebrate, Mudra is giving away a beautiful pack of crafting supplies from Mudra to 1 WINNER selected from the comments across all of the blogs in the hop. You have until Wednesday, March 15th at 11:59 PM IST to enter, and the winners will be announced here on Monday, March 20th. And to sweeten the deal, some of our designers in the hop also have giveaways, so make sure to leave comments on all the blogs for a chance to win! 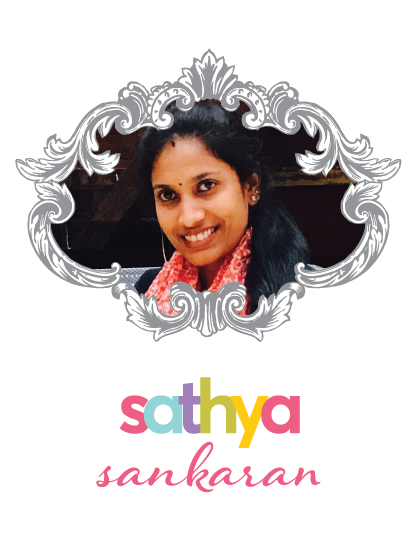 Your first stop on the hop is the very talented Sathya! Hope you gonna enjoy the amazing projects!! Have fun!! Go ahead and add your name in Inlinkz below. Happy first birthday! I'll be hopping later on - on my way to the airport at the moment 😉 happy celebrations! Happy first birthday Mudra. 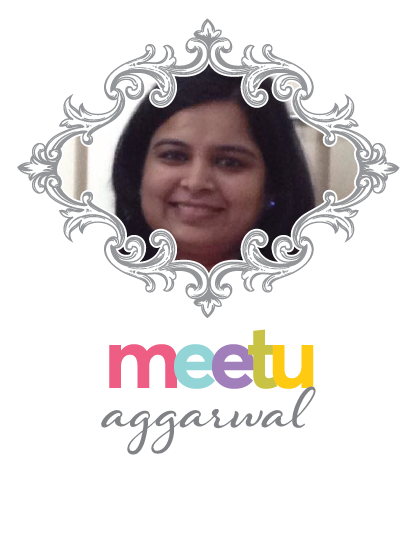 Off to hop & get inspired :) Wishing you loads of happiness & success in all your ventures. Happy Birthday! 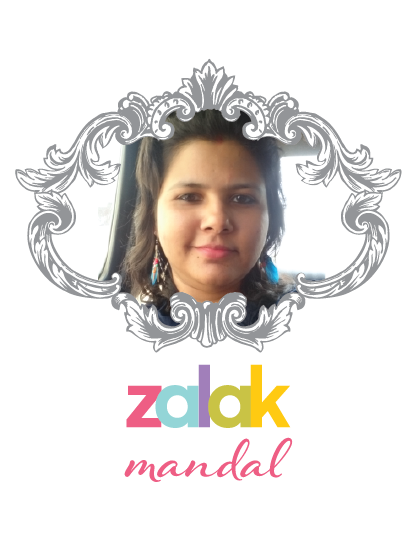 !All the best for Keep going to ur crafty & successful journey !! Happy Birthday Mudra!! It's gonna be fun!! Wish you a successful journey with lots of milestones and blessings!! 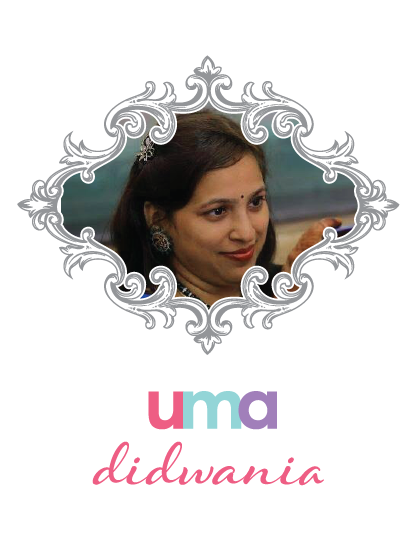 Happy Birthday Mudra!Wishing you many more creative years ahead of you! Congrats to Mudra for covering the first milestone. Way to go! Happy birthday to you :). Its so nice to see an Indian stamp brand come up with such awesome quality stampsets which are totally pocket friendly and adorable and well thought off!!! HOpe you grow more and spread more creativity around!! A very happy first birthday Mudra...Your stamps are so original and so beautifully designed..Its a proud moment for us too...seeing an Indian Brand setting roots at international level..Wishing you loads of success ahead.. Happy First Birthday to Mudra!!!! Wishing many more with lots of success! 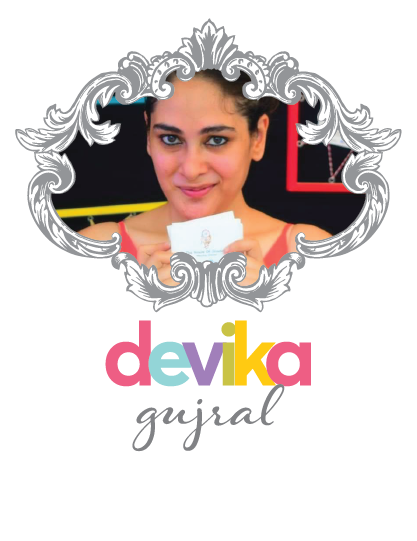 I love the solid quality and love the original designs by Talented Indian Designers! I really enjoyed with all cheer and Happy designs with such unique creativity and inspirations all along the way! Happy first birthday! !I enjoyed with Blog hop , all designers are so talented!!! Thanks for inspiration! Congratulations Mudra.. And Thankyou for this hopping.. I got to witness and get inspiration and from such amazing talents around the globe (few of them I eagerly followed on Instagram and now i know they are part of your team) Enjoyed and learned all along the hopping! Happy Birthday Mudra :) Keep rocking..!! Very Happy first Birthday to Mudra ! Happy first birthday! !I enjoyed with Blog hop,all designers are so talented!!! Thanks for inspiration! !wish you many more years to bring to us all wonderful designs..
Congrats! I love the Mudra stamps, both for the beautiful designs and superior quality. Looking forward to the hop and wish you all the best for the future. Happpyyy Birthday ! !..love your stamp quality, designs. thanks for letting all of us be a part of your celebrations..and lots of love to all the talented ladies who inspired us with such gorgeous creations~. wishing you a great journey ahead!! Happy First Birthday. Beautiful work from the DT. Happy Birthday!! I have just discovered your stamps and so glad they are available in the US. The hop was fantastic. So much fantastic inspiration. Looking forward to more. Wishing you loads of success ahead.. Happy First Birthday Mudra!! 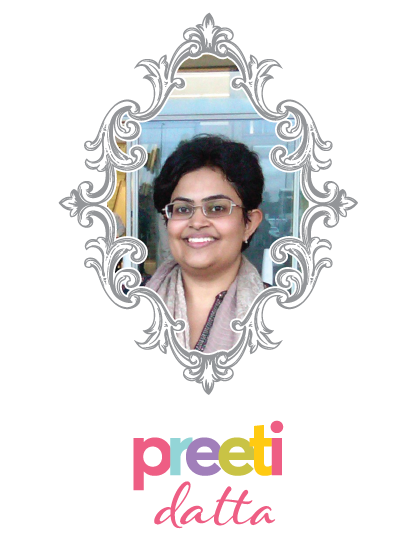 Varshita, this baby of your's is growing leaps and bound! Congratulations!!! HEre's wishing you immense growth and good luck!! Awesome Blog hop!!! Congratulations and happy birthday to mudra. May you achieve more and more success..!! Happy Birthday Mudra, wishing you more success and growth in the coming years !! 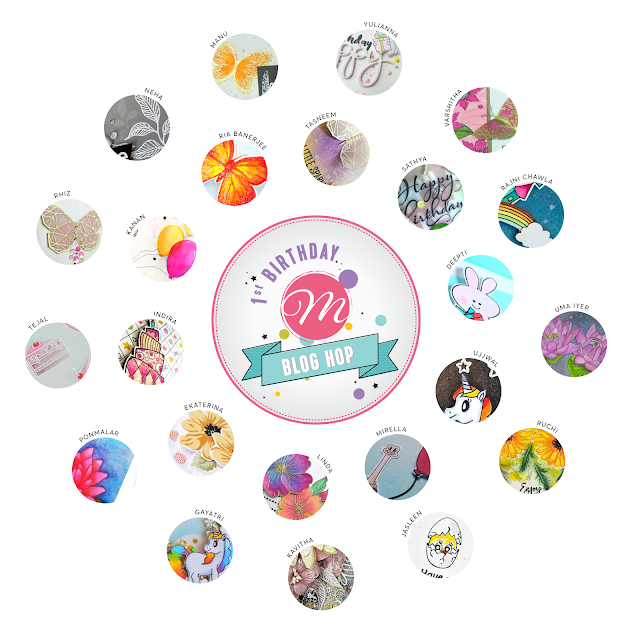 enjoyed all wonderful creations on the blog hop, great inspiration !! Happy birthday Mudra.. may you have many more successful years.. congrats for completing fantastic one year and giving us such beautiful stamps. Happy Birthday Mudra!! Congratulations and here's wishing many years of success! Happy Birthday Mudra!! Lodsnof congratulations love all tour designs and wish to buy some stamps too. Wish you more success in years to come! Congratulations and first birthday wishes to Mudra team. Wishing you more successful years ahead and awaiting lots of new releases. Wish you a very happy birthday 🙄❤️🎂And loads of wishes for many many more years to come. wishing you a very happy birthday!! wish you many more years of success.. thanks for the hopping opportunity!!! Congratulations on completing a year..wish u all the best and keep inspiring us with the lovely post...Happy birthday...!!! Happy birthday! Done, just visit all the blogs! Thank you for the hop. Such cute and creative cards from the DT. Great releases. and wishing you many more to come....Happy 1st birthday !!! 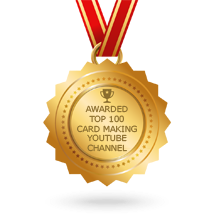 from all the talented crafters. Hippo Friend and Happy Birthday Cards!! Heat Embossing & Coloring with Distress Inks! Butterfly Kisses & Birthday Wishes! !